● Aric Almirola started in 18th and drove to 16th by lap seven. ● Inclement weather postponed the race on lap eight. Almirola pitted for four tires and fuel under caution when racing resumed. ● The No. 10 Prime Fresh Smithfield Ford came to the pits on lap 24 for fuel only before the competition caution came out on lap 25. 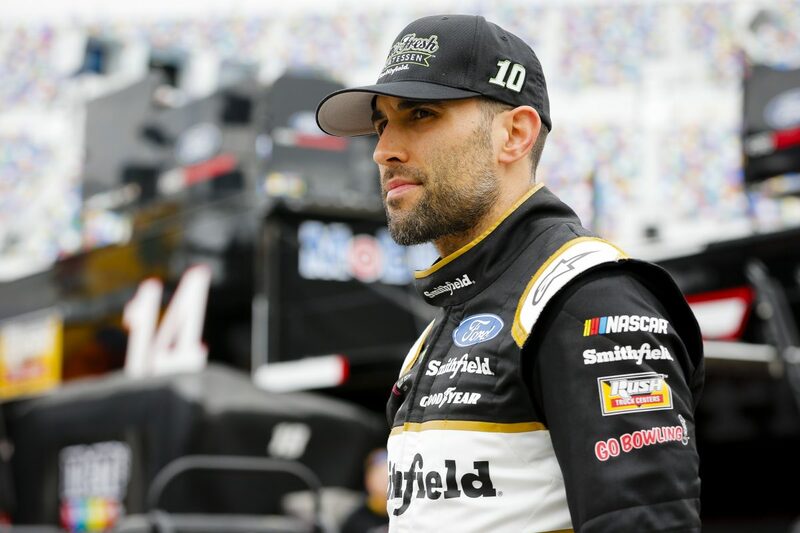 ● Almirola was caught speeding while exiting pit road and brought the No. 10 Ford Mustang back to the pits for fresh new tires. ● On lap 40, the second caution for rain postponed the race with Almirola in 18th place. ● When racing continued, the Ford Mustang driver stalked the field in and around the 17th position until a multicar accident on lap 57 involving 17 of the 20 cars brought out the final caution of the race. ● Inclement weather continued to dampen the racing surface while under caution, ultimately ending the race early. ● This was Almirola’s fourth career Clash appearance. His best finish was sixth in 2013.